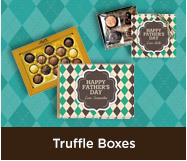 Give Dad something he really wants this Fathers Day with these great Personalised Fathers Day Chocolates. 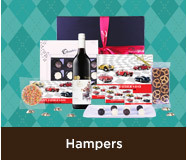 There's something for everyone this year with sports-themed chocolates, cars, music and much more. We have chocolate bars, chocolate freckles, large 100g bars and truffle gift boxes too. Turnaround and dispatch is lightning fast with delivery to just about anywhere in Australia and NZ.